This venture is doing a fine job ferreting out Northern Rhône wines and offering them at realistic prices. 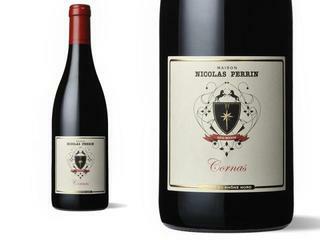 This is a dark, concentrated Cornas, big and richly textured while retaining crispness and delineation. Plum and blackberry notes join black olive and espresso, but the overall impression remains savory, all the way through the long, velvety finish. Also classic in style, with smoked earth, licorice, chocolate and ample dark fruit, the 2010 Cornas is a big, rich and rustic effort that stays fresh and lively on the palate. Packed with dark plum, warm currant confiture and blackberry coulis flavors, this is lined with charcoal, singed bay leaf and steeped dark olive notes. The long finish reveals a terrific graphite spine. Built for the cellar. Bright ruby. Black raspberry, potpourri and olive on the heady, spice- and mineral-accented nose. Juicy and precise, offering gently sweet red and dark fruit flavors and a hint of violet pastille. Silky tannins come on late and add shape to a sweet, smoky finish. In an elegant style and drinking surprisingly well already, although it will no doubt reward patience.